Our weight loss clinic in Columbia, MD, is an authorized Ideal Protein weight loss clinic. Ideal Protein is a medically developed, methodical, ketogenic weight loss program with over 20 years of success. Ideal Protein combined with Figure Savers will focus on helping you maintain your new healthy weight after initial weight loss through a smarter eating education and one-on-one personal coaching. Ideal Protein is the only weight loss plan in the world that has a long-lasting maintenance plan. Ideal Protein is a physician-designed weight loss protocol that specializes in burning fat while sparing muscle loss along with a healthy and effective maintenance plan to keep the weight off for good. It encompasses a healthy, educational way to lose weight so clients can continue to make good choices the rest of their lives. Ideal Protein’s unmatched variety of instant, easy-to-prepare, and ready-to-serve products are skillfully developed for flavor and texture. Furthermore, Ideal Protein uses only the highest quality protein in their line of gourmet weight loss products, as not all protein sources are created equal. Figure Savers weight loss clinic in Maryland holds free seminars each week to help get our new clients started. We want you to begin this journey with all the necessary tools to take you to your goals. Learn why you have become overweight, why you have cravings, and how to conquer them. You will also learn how being overweight can have a direct effect on some metabolic conditions. Find out what our clients have to say about our Ideal Protein weight loss program. Learn how you can get the most out of your Ideal Protein journey through our nutrition coaches. 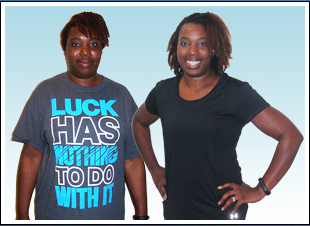 Figure Savers helps clients get to their weight loss goals and helps them maintain their healthier lifestyle. At Figure savers Weight Loss & Diet Center, our nutrition coach in Maryland offers one of the most successful weight loss programs in the area. We will help you achieve the weight loss results that you desire. You deserve good health that lasts a lifetime, and our weight loss strategies will help you get there. Everyone has different reasons for wanting to lose weight. Our weight loss clinic in Maryland has surveyed hundreds of our dieters, and we have found that their number one reason for wanting to lose weight is to improve their health. Maintaining your target weight is an integral part of staying healthy, and our program will help you do just that. We encourage our clients to look at their long-term health goals. Whether you want to be able to work well into your old age or to energetically play with grandchildren and be less dependent on medications, maintaining a healthy weight is just one step in reaching these goals. That is where our nutrition coach in Maryland can help! Figure Savers in an authorized Ideal Protein weight loss clinic. In addition to getting you to your healthy weight loss goal, we will coach you through the program and help you maintain your target weight. As we all have different nutritional needs, the maintenance program is individualized to accommodate each client’s unique dietary needs. The Ideal Protein weight loss program burns fat while supporting muscle mass. This process is called ketosis, and it protects you from one of the most common, but little-known side effects of dieting: lost muscle tissue. If you burn muscle along with fat while dieting, you will inhibit your ability to burn calories after your diet. You need muscle mass to burn calories. If you lose muscle tissue along with fat, you will not be able to burn as many calories as you did before dieting. As a result, dieters who lose muscle must regain almost all of their lost weight within five years after dieting. Ideal Protein uses high-quality protein products to protect your muscle while you lose fat. This sensible approach helps you lose weight while reinforcing your overall health. If you are looking for effective weight loss assistance using a ketogenic approach, contact our nutrition coach in Maryland today. We proudly treat clients in Columbia, Maryland, and the surrounding counties. I started Ideal Protein because I needed a serious breakthrough with my weight loss. I was stuck at a two year plateau which was frustrating because I was very active with fitness and would “eat clean” but I just could not seem to lose body fat. One of my coworkers had recently started Ideal Protein and I was amazed by her results just after a few weeks. I attended a workshop and was educated about the science behind the diet. I knew at that point I just had to give it a try! I stayed on the program for 4 months and lost 40 lbs. I went from wearing a size 16 to a size 9, and I feel amazing! I even inspired my Mom to start the diet. I’m so thankful for this program because it’s helped to renew my sense of self-esteem. Being on maintenance has been great and I’m continuing to make healthy food choices. If you’ve heard about Ideal Protein, attend a workshop and give a try. Your results will speak for themselves!